In the ten-book novella series, we follow Simon as he embarks on a journey through the newly reformed Shadowhunter Academy as he tries to get his memories back and get back to the life that he has now forgotten. He meets some new friends at the school, and quickly sees that he may be a hero in their eyes, but doesn’t feel worthy of the title. At least, not yet. As the series progresses, Simon gets to learn more about himself. 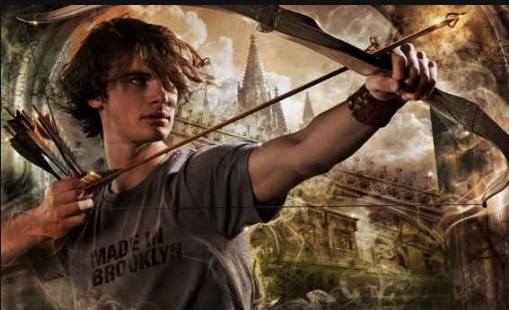 He learns that not only he can be a Shadowhunter, but he can be a good one. Like he said, he might have gone to the Academy for Clary and Isabelle, he stayed for himself. He learned that he does have the skills to be a successful Shadowhunter and that he really is that person that his friends remember him as. There are times when Simon can be unsure of himself, annoyingly so, it causes conflict with his relationship with Clary and Isabelle (especially). His low self-esteem wants him to try and be the person that they remember but they know that he is, whether or not he can remember. By the 5th book or so, Simon starts to come to the realization that Isabelle loves him for who he is, not some version of himself that he doesn’t think that he is. As the rest of the series progresses, Simon and Isabelle get back to what they were before and they are so cute that it’s hard not to just hate them for the amount of cute that they are. If it was a part of social media it would #RelationshipGoals. They joke around with one another and bring love into the dark world that they know that Shadowhunters have to live in. By the end of the book, I find that I like their relationship more than any other in the series. While Simon was the focus of the series, he wasn’t the only story that we got to dive into. In fact, we got to dive into many stories. All of the stories that we have come to known (and will know) are brought in as we get to dive deeper into the complex world that Clare has created. We find out the backstory of Teresa, Will, and Jem from The Infernal Devices as they struggle to raise their kids in a time when they weren’t socially accepted. The best addition to the series was Magnus’s and Alec’s relationship. We see them transform into a power couple and best of all, we see them both happy. Of course there is a twist ending at the end of the series, because she pretty much went the whole series without one. Clare is known for having twists at the best times in her series that leave the fans talking about it for days to come after. This series is no different. At the end of the last novella, something happens that is shocking (but maybe not so much if you paid attention to the detail). Even if you knew what was going to happen, you wished that it wouldn’t. It is one of those kinds of endings. While the series was short and broken up over most of a year, it did provide us with a lot of information that we can use for the rest of the series as it looks to expand in March. The novella series makes you want more of Simon and his life (especially since he brings a fun way of looking at things) but overall it allows fans a deeper look into the series that we love as we get ready for the next series. 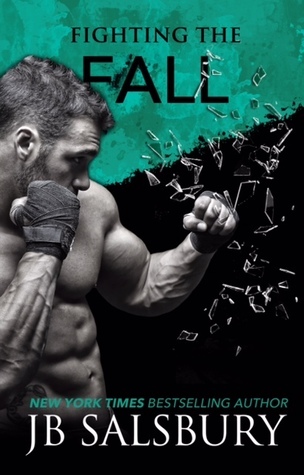 You can buy the series on Amazon, Barnes and Noble, Kobo, or iBooks. What did you think of the series? This is the first book in the surprise spin-off series from Cassandra Clare’s NY Times Best selling The Mortal Instruments. We follow Simon as he starts his training in being a Shadowhunter while trying to get his memory back. No doubt that we will see some of the characters that we fell in love with during the series, but the fact that focus is going to be on Simon is the best news ever. Simon is perhaps the fans favorite character (outside of Clary and Jace) and are excited to see where his story takes us. And not only do we get one, but we get one every month for the next ten months. Are you going to read Welcome to the Shadowhunter’s Academy? Yesterday, the first two covers of Cassandra Clare’s new e-series were released on Entertainment Weekly’s website. The series was announced in October and that she is going to be writing the series with Sarah Rees Brennan, Robin Wasserman, and Maureen Johnson. 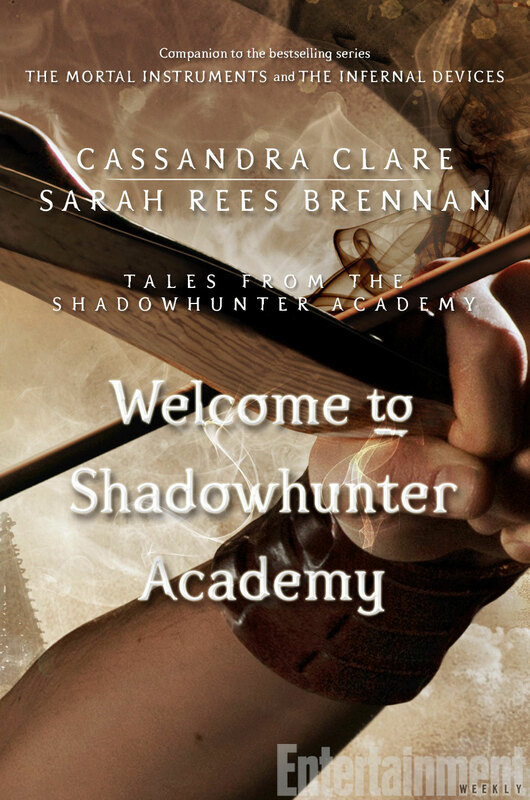 The first book, Welcome to the Shadowhunter Academy, will follow Simon as he struggles with who he is in the world as he tries to get back his memories that were taken from him. Along with the covers was also the first synopsis, which can be read below. After living as a mundane and a vampire, Simon never thought he would become a Shadowhunter, but today he begins his training at Shadowhunter Academy. Simon Lewis has been many things. A mundane. A vampire. A hero. But Simon can’t remember any of that. His memories of adventures with Clary, Isabelle, and the rest of the New York Shadowhunters were erased by a demon, and now Simon is eager to reclaim that part of himself. But will he ever get back the parts of himself that he lost? Does he even want to? The second novella , The Last Herondale, follows Simon as he continues his training and learns about the rules of being a Shadowhunter. You can read the full synopsis below. Simon learns about the worst thing a Shadowhunter can do: desert their comrades. In the early 19th century, Tobias Herondale abdandoned his fellow Shadowhunters in the heat of battle and left them to die. His life was forfeit, but Tobias never returned, and the Clave claimed his wife’s life in exchange for Tobias’s. Simon and his fellow students are shocked to learn of this brutality, especially when it is revealed the woman was pregnant. But what if the child survived…could there be a lost Herondale line out in the world today? You can preorder the entire series on Amazon, Barnes and Noble (only the first novella), and Amazon UK (just the first two). 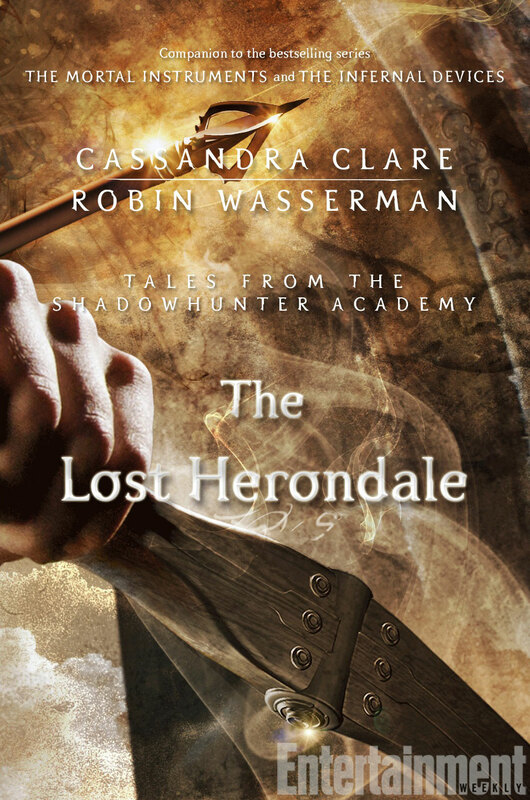 Welcome to the Shadowhunter Academy is set come out February 17th with The Lost Herondale coming out March 17th. In this spin-off series, we follow Bane and all the stories of his life before we meet him The Mortal Instruments and then again in The Infernal Devices. There was quite a big changes between his character in both of those series and it’s going to be fun to read more of his stories especially if the story is told form his point of view. He’s certainly one of the funniest characters in the Shadowhunter world. 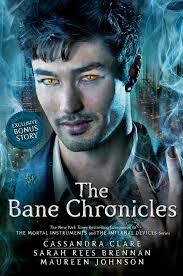 Are you going to buy The Bane Chronicles? Stephen King is just one of those authors that can draw any one person into his stories and has a way to get you to think about something that you knew differently. This one is no different as he is going to be dabbling in the church and perhaps a forbidden bond between a priest a young boy. 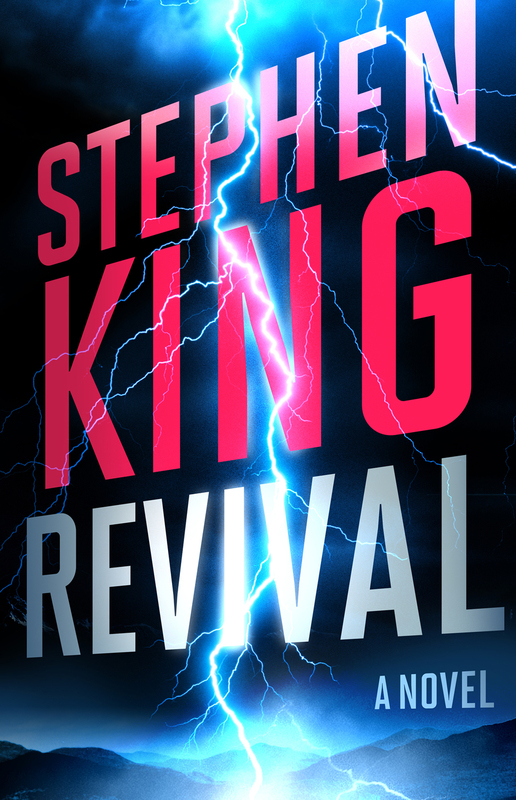 King is not afraid to write about controversial themes and it’s going to be interesting to see how this one ends. The story is about two friends who grew up together but find that line of friendship and love getting blurry when they go on tour together with their band. Sorensen has an amazing way of creating these dynamic and complex characters. This story doesn’t appear to deal with the darker themes that she’s written about in the past but it does deal with the fragile part of whether or not to risk a friendship for true love. This story is a part of the Ella and Micha series as it involves their daughter and Lila and Ethan’s son who are the couple in this story. Sorensen has stated that you don’t need to read the other books to be able to read this one. There will probably be some references, but considering they go on a tour, we won’t probably see much of the parents. In this installment of the series, we follow Cameron as he embarks on a relationship with Eve, Raven’s best friend. There a few minor but important things that complicate the beginning of their relationship. The age difference and the way that they started. Cameron’s got his own issues that he’s trying to work through as he proves that nothing can make him fall while Eve tries to find love in the last person she expected to give it to her. 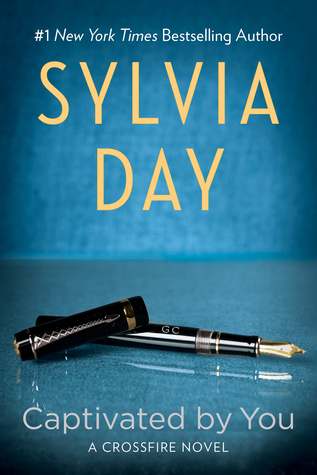 The third book had ended with a big surprise as Sylvia Day didn’t announce that she was going to be adding to the series until the book came out. While she did say there are going to be a few more installments, we don’t know the exact amount. This book should be interesting and fun to read as Eva and Gideon adjust to married life and having to deal with the media and their past trying to tear them down. Will their relationship be strong enough to survive?